Is this the last we'll see of the hypercar? 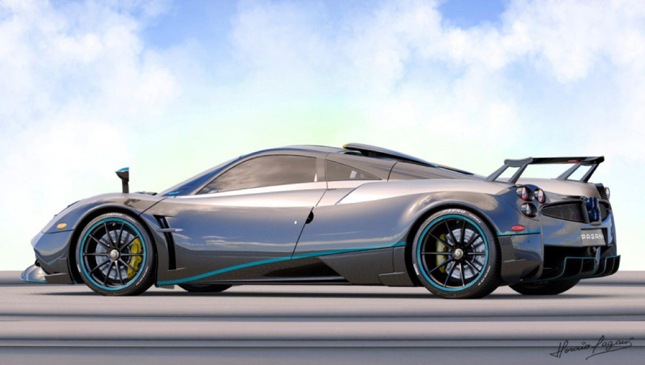 It's a Lewis Hamilton-inspired special that incorporates various elements of the Huayra evolution including the track-orientated BC and Wind God-orientated Tempesta. So there's the familiar AMG-sourced 6.0-liter V12 bi-turbo, turned to deliver 789hp and 1,100Nm of torque plus the Tempesta's carbon front splitter, panels, downforce-inducing skirts and rear diffuser. A hood scoop similar to the BC and Cinque models sits atop as well as a full-length rear wing, all finished in exposed carbon fiber with Petronas green highlights, just like Hamilton's Sunday driver. 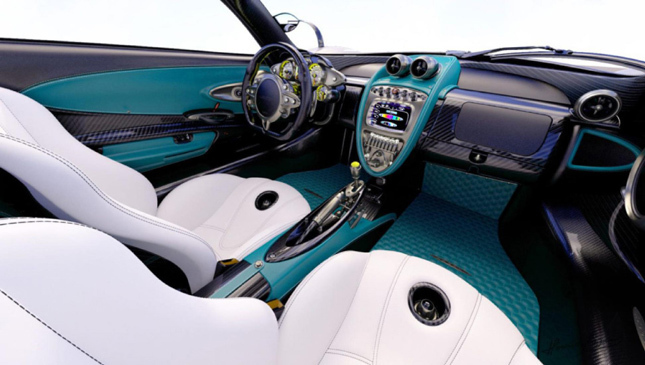 This color scheme works its way inside with the leathers finished in the turquoise green, white leather seats and gold highlighting as well as the eye-wateringly expensive Sonus Faber 1200w sound system. It's been a good run for the Huayra. Introduced in 2012, it was the successor to the incredible Zonda. Quite the evolution, too. Made of 4,700 new parts, the Huayra is longer, wider, faster, and produces quite the aural sensation, thanks to a turbocharged 12-cylinder like we'd never heard before. Plus with gullwing doors, it automatically drains blood from our head in excitement. 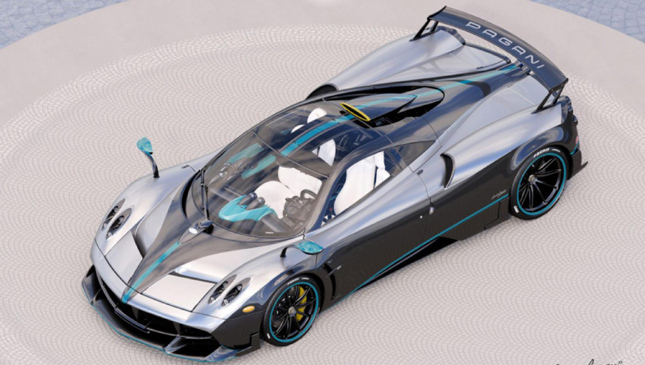 But in the same way that Horacio Pagani used ground-breaking techniques for that Countach Evoluzione back in the day, he did the same for the Huayra, taking the composite game to another level. See, it's made entirely from carbotanium--where carbon-fiber and titanium strands are woven together--making standard carbon fiber seem both weak and heavy. This insatiable love for details is the key ingredient of the Huayra, and a good indicator of HP's almost obsessive level of attention. Things like the 3,000 bolts that have each been individually branded, the key sculpted from a milled billet of aluminum into the shape of the car, and the glorious leather straps restraining the clamshell. 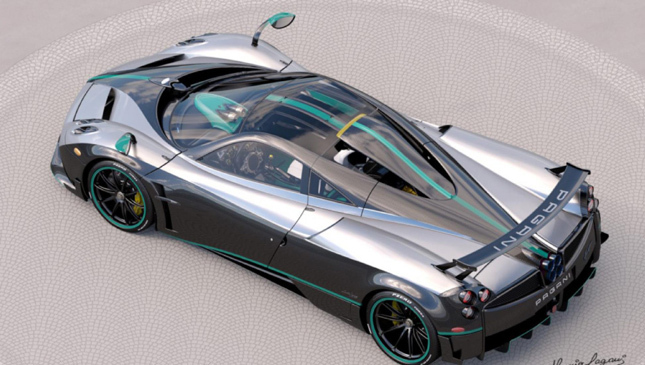 There is apparently no "good enough" when it comes to a Pagani. But as we've learned from the Zonda, Pagani has a habit of losing count of how many cars it has actually made, and a tendency of producing stuff posthumously. So could this happen with the Huayra? Well, if the price is right, we're sure Horacio could be tempted.